The NCGE is a leader in providing professional development opportunities for teachers at all grade levels, and this may be one of the most attractive trips they’ve ever offered! You can click on the image below to get more information about the trip, but first you should know that CGA wants to help support teachers to take advantage of this exciting opportunity (and to bring exciting learning experiences for students all over the state). CGA can provide a scholarship of $250 to any teacher working at a school in CA who is selected for the trip, so send an email to cga (at) geography.sdsu.edu if you plan to apply. We will also cover the cost of attending the 2016 NCGE conference for any teacher who is selected for the trip and chooses to work with the CGA to meet the expectation to produce and disseminate classroom materials addressing the National Geography Standards. The teacher(s), working with the CGA leadership team, would give a presentation at the conference based on the learning materials they developed after the GeoCamp. Back by popular demand, the World of 7 Billion student video contest can help you bring technology and creativity into your high school geography classes. The contest challenges your students to create a short (60 seconds or less) video illustrating the connection between world population growth and one of three global challenges dealing with either the sixth extinction, available farmland, or global education. Students can win up to $1,000 and their teachers will receive free curriculum resources. The contest deadline is February 19, 2015. Full contest guidelines, resources for research, past winners, and more can be found at www.worldof7billion.org/student-video-contest. 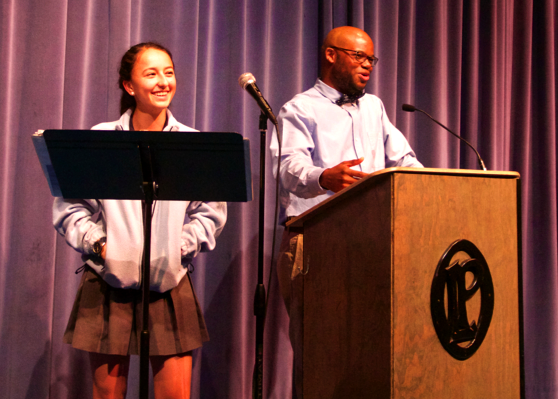 At the CGA, our goal is to help build geo-literate citizens who care about the planet’s people, places and environments, and who feel empowered to strive for a more sustainable and equitable world. Teachers, informal educators, parents, students, policy-makers, and the media are all partners in helping us achieve this goal, and the Alliance website is a vehicle for educating, activating, coordinating, and supporting those partners. With this understanding, our team at SDSU, with input from CGA members, has completely revamped the site and is continuing to build out its utility. While the site is changing weekly and should present more value to all audiences as we continue our work, I am going to take this opportunity to give you a quick overview of what you can find there and how you can help us build a better online resource. From the welcome page on, we want the site to support our collective mission. CALIFORNIA ATLAS: Our excellent print atlas, California: A Changing State, is available on the site as individual pdf files. You can print pages as needed for student work or project the maps for instruction. The atlas is aligned with fourth grade curriculum and has accompanying lessons for that grade, but it can be a valuable resource at many different grade levels and across a variety of subjects. In addition to the individual maps, the atlas contains great info about how to understand and use maps. If you dig deep into this section (or link directly from the menu on the left margin of the site), you will find “Atlas 2.0” – our working title for a suite of exciting new interactive resources. We have created several web maps and StoryMaps based on the topics covered in the print atlas but incorporating greatly expanded information in a format that allows teachers and students to explore important aspects of California’s history and environment through integrated maps, texts, and images. These are early prototypes, and we will continue to develop them with the help of some talented graduate students at SDSU and the input of teachers. Tell us what you think, suggest additions, or get online with Esri at http://storymaps.arcgis.com/en/ to see many more examples and experiment with making your own StoryMaps. Then share your work. CONTRIBUTED LESSONS: This is a list of geography lessons, sorted by grade level, that have been created by CGA Teacher Consultants and other teachers who have attended past workshops. We would like to be able to make this list more valuable by adding new model lesson plans and including some info with each lesson plan about what teachers find useful about each lesson plan (kind of user reviews, as we have all become accustomed to online). So send us your best lesson plans, tell us what you think about the ones that are online now, and help us build a better resource. ONLINE EDUCATIONAL RESOURCES AND MULTIMEDIA CONTENT: One of our concepts for creating a valuable one-stop shopping experience for geo-educators of all types is to be a curator to help people access the best of literally thousands of amazing resources that already exist online. Again, we are very open to reviews and recommendations, but you will find links to sites with lesson plans and online tools, and you will also find links to a lot of short videos that could be used to introduce students to a topic or stimulate critical discussion. For example, The Economist magazine puts out very informative “videographics” on topics such as global migration flows (http://www.youtube.com/watch?v=hcoOENLfpUI), and series of videos created by independent filmmakers such as one entitled Gas Rush explores the boom in natural gas and fracking from a variety of perspectives and features interviews with real people working in or affected by the industry (http://www.gasrushstories.com/grs/Stories.html). ABOUT THE CGA: This gives a brief history of the organization. We should all be proud of being the first alliance in the country and one of the places where the movement was first imagined and nurtured. GEO-LITERACY AND GEOGRAPHY EDUCATION: This page includes texts and links to videos explaining exactly what geography is and why it is vitally important. Geo-literacy is a term that is used within the geography education community to underscore the central importance of geographic knowledge and spatial thinking. We see it as a core competence for the students of today and the citizens of the future. On this page you will also find links to the California content standards and curriculum framework for history and social studies, common core state standards (Did you know there are free iPhone/iPad and Android apps with the Common Core standards? ), and the Next Generation Science Standards. Those are the crucial policies for teachers, but the CGA is also looking beyond what is in place to think of what geography education could and should look like, and you can get some ideas about that from following links to A Road Map for 21st Century Geography Education or Geography for Life. GEOGRAPHY MAJORS AND CAREERS: When the SDSU leadership team decided to take on hosting the CGA, we set a goal to increase the number of incoming college students who declare geography as a major. Unfortunately, this is a rare occurrence, and we think it would be good for our economy, our communities, and our students’ futures if more chose to study geography and prepare themselves for careers as geographers or in many other professions where geographic knowledge and skills are valued. Toward that end, we have included information about why a student might choose geography as a major and where in the US a student could pursue an education in geography. We also link to the site of the Association of American Geographers that includes profiles of professional geographers. And while you are on the site, check out one of our latest blog posts that confirms that geographers’ sensibilities and skills are prized in the workplace and jobs for people with the technical ability to work with geographic information are well-paid and more numerous than job-seekers with the required training. This message needs to get out to our high school students. Geography is relevant, interesting, integrative, and a pathway to a great career. Thanks for reading! I hope you will visit calgeography.sdsu.edu again and again because it is a valuable resource. And please contribute your own content or suggestions to make it the best possible reflection of the important work we are all doing in geography education. For many years the U.S. Department of Labor has recognized geospatial technology as one of the three top growth industries today, alongside nanotechnology and biotechnology. “Over 500,000 professionals in fields ranging from environmental engineering to retail trade analysis are asked to use GIS in their jobs. The Bureau of Labor Statistics show that surveyors, cartographers, and photogrammetrists (a subset of GIS occupations) are experiencing faster than average employment growth – anticipating growth at 19 percent between 2008 and 2018” (source). Money Magazine and PayScale.com placed “geographic information system analyst” in its list of the “Top 100 Best Jobs in America” in 2010. The 2011 list of the “Best Jobs in Fast-Growth Fields” included various careers that utilize GIS. Why, you may ask, with all these striking figures high salaries, rapid growth, low unemployment, aren’t students beating down the doors to get into our classes? Why are geography departments not booming in every university in the country? Why, in fact, are geography departments closing at a disturbing rate? Why do parents routinely ask, when their sons and daughters announce they want to study geography, “How on earth will you make a living?” Most puzzling of all, why are departments changing their names to attract students concerned about employment? The answer is pure, unadulterated ignorance among the U. S. public. Geography is one of the least common professions because few employers know to call geographers “geographers.” Few know to advertise for a geographer when that’s what they need to hire. Our students, however, find high salary jobs, seldom called “geography,” because we give them skills and attitudes that warrant high pay. Clearly, we geographers aren’t making our case as convincingly as we could and should. We aren’t informing students of the disciplines true potential of employment. We aren’t informing employers that there are plenty more good prospects like the ones they have already hired, if only they will support our programs and seek our graduates. The American Geographical Society will continue to fight to get this message out: Geography is the key, not only to understanding, but also to success. Note: From the August 2014 newsletter of the AGS. What was exciting to me about this article is that it was shared with me by an educational technology specialist immediately following a meeting I had with her regarding a mapping project for third graders. 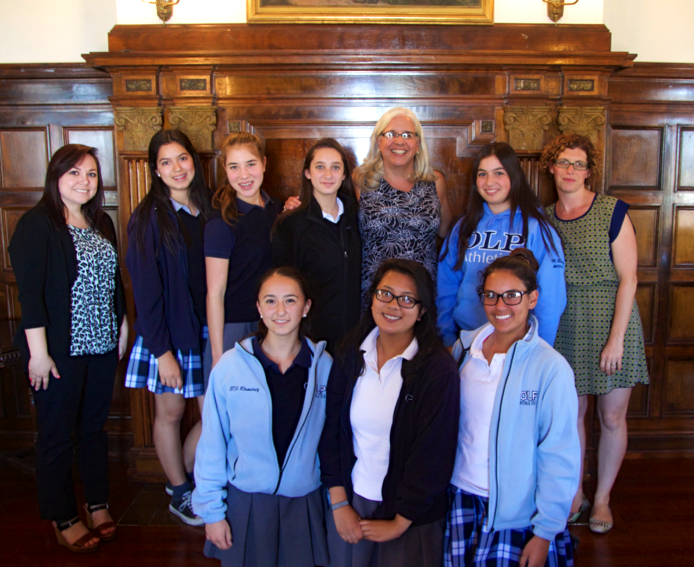 The CGA is working with the San Diego History Center and the School in the (Balboa) Park program to develop a week-long map skills module during which students will learn to read and interpret maps and also will get experience producing their own maps using digital technology. As a result of generous support from the Bechtel Foundation, the CGA is offering professional development workshops for 4th grade teachers focused on our state atlas, California: A Changing State. Our latest workshop to be announced will be held in Auburn at the Placer County Office of Education, from 8 am to 4 pm on Wednesday, July 16. These workshops are free for any fourth grade teacher, and each participant receives a set of 18 atlases for classroom use, activities and lesson plans to get their students using the atlases, and a selection of other books and materials, all valued at over $250. Space is limited, so reserve your spot now by visiting the Professional Development page. It was announced yesterday at the White House that Esri will provide free ArcGIS Online subscriptions for all K-12 schools (instructional use) in the United States as part of the White House’s ConnectED initiative. More information is available here. Resources to help schools get started with ArcGIS Online are available at http://edcommunity.esri.com/connected. In conjunction with this initiative, we encourage GIS professionals to become GeoMentors who volunteer to help schools set up their ArcGIS Online account, provide data for the local community, and provide local expertise. More information about the GeoMentor program is at http://www.geomentor.org. ArcGIS Online subscriptions for K-12 schools include 500 named users. The July release of ArcGIS Online will include a new custom role (“Student”) and new account administration tools for managing student accounts. Please contact connectEDschools@esri.com with questions. This lesson examines the crisis in Ukraine. First, students hold a brief discussion on what they think is the most important news story going on. Then they read and discuss a background piece on the crisis in Ukraine. Next, in small groups, they role play international lawyers and analyze Ukraine’s 1994 Budapest Memorandum, an agreement among Ukraine, Russia, the U.S., and the U.K.
> Explain why the protests in Ukraine took place. > Describe the cultural divisions in Ukraine. > Analyze and answer text-dependent questions on a primary document, citing evidence from the text (Ukraine’s Budapest Memorandum). Common Core Standard RH.11–12.1: Cite specific textual evidence to support analysis of primary and secondary sources, connecting insights gained from specific details to an understanding of the text as a whole. National High School Civics Standard 22: Understands how the world is organized politically into nation states, how nation states interact with one another, and issues surrounding U.S. foreign policy. (1) Understands the significance of principal foreign policies and events in the United States’ relations with the world (e.g., Monroe Doctrine, World Wars I and II, formation of the United Nations, Marshall Plan, NATO, Korean and Vietnam Wars, end of the Cold War). (12) Knows some important bilateral and multilateral agreements to which the United States is signatory (e.g., NAFTA, Helsinki Accord, Antarctic Treaty, Most Favored Nation Agreements). California History Social Science Standard 11.9: Students analyze U.S. foreign policy since World War II. National High School U.S. History Standard 30: Understands developments in foreign policy …. California History–Social Science Standard 6.4: Students analyze the geographic, political, economic, religious, and social structures of the early civilizations of Ancient Greece. (1) Discuss the connections between geography and the development of city states in the region of the Aegean Sea, including patterns of trade and commerce among Greek city states and within the wider Mediterranean region. (2) Trace the transition from tyranny and oligarchy to early democratic forms of government and back to dictatorship in ancient Greece, including the significance of the invention of the idea of citizenship (e.g., from Pericles’ Funeral Oration). National World History Standard 8: Understands how Aegean civilization emerged and how interrelations developed among peoples of the Eastern Mediterranean and Southwest Asia from 600 to 200 BCE. (1) Understands the political framework of Athenian society (e.g., the influence of Athenian political ideals on public life; major changes made to the Athenian political organization between the initial monarchy and the governments of Solon and Cleisthenes . . . ). 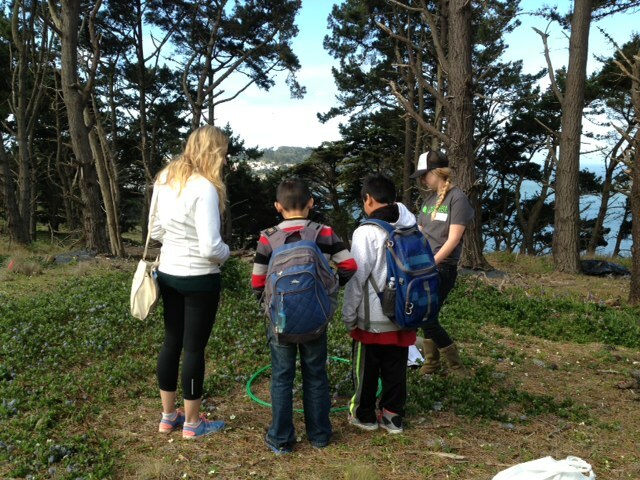 #BioBlitz2014 at Golden Gate National Parks in San Francisco was an exhilarating and inspiring event for students, educators, scientists, and citizens. National Geographic Education staff started the week by spending Tuesday, March 25 at John Muir Middle School in Corcoran, California, just south of Fresno, to conduct a Schoolyard BioBlitz with 240 7th grade students. Over three hours, students visited three different sites in town and on campus to observe birds, insects, animals, and plants. JMMS is a Verizon Innovative Learning School and an Apple Distinguished School, and has implemented a 1:1 iPad ratio for students and teachers. With this technology, students were able to utilize the iNaturalist app to identify and document different species throughout the day. Students were most excited to observe owl pellets containing animal bones, feathers, and other indigestible matter. Information and video collected during the Schoolyard BioBlitz will ultimately be available for educators so they, too, can organize and conduct their own local species inventories. At noon on Friday, March 25, BioBlitz 2014 was officially launched, although students and scientists had started collected data early that morning. The staff at Golden Gate National Parks, as well as Golden Gate National Parks Conservancy and the Presidio Trust, coordinated hundreds of naturalists, docents, birdwatchers, and other volunteers to work with more than 3,000 students throughout the day. Students were scattered throughout the Bay Area from San Mateo to the Marin Headlands to conduct inventories about what types of bird, reptile, mammal, plant and insect species were observed. It was amazing to see so many students actively involved in field science and engaged so fully with their local environment. The weather was spectacular and the students were also able to enjoy a large festival of hands-on activities at Crissy Field, in the shadow of the Golden Gate Bridge. The public and scientific inventories continued into Friday night and Saturday morning, even though the weather turned stormy and wet. Volunteers returned to the field throughout the 24-hour period to inventory tide pools and identify nocturnal creatures. The first-ever inventory of the canopy of the redwood forest in Muir Woods was conducted. In total, 300 scientists, 3,000 students, and over 5,000 volunteers took part in this unique and exciting event. Next year, #BioBlitz2015 will take place at Hawaii Volcanoes National Park, so make your vacation plans now to participate!